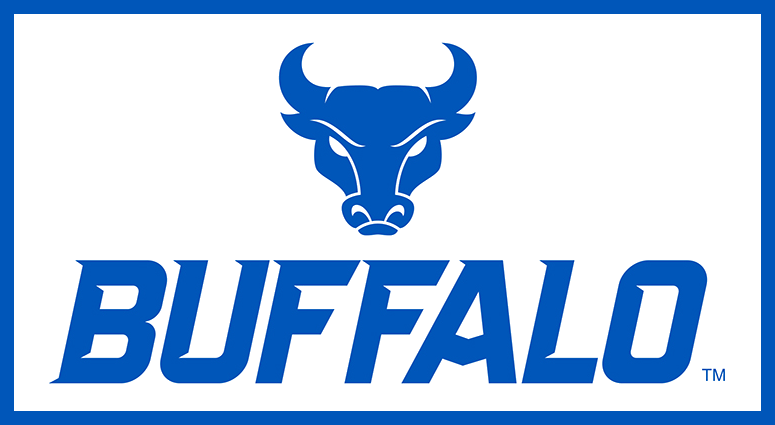 University at Buffalo football head coach Lance Leipold announced the initial signees for the 2019 recruiting class on the first day of the National Signing Period on Wednesday. The initial 17-member signing class is balanced with eight offensive players and nine defensive players. The initial class is comprised of four defensive linemen, three offensive linemen, three wide receivers, two linebackers, two cornerbacks, a quarterback, a tight end and a safety. The newest class comes to UB from six different states, including Florida (6), Maryland (2), Michigan (2), New Jersey (2), Ohio (2), Georgia, Pennsylvania and South Carolina. Four of the signees will enroll in January with the remainder joining the team for fall camp. Wide Receiver from St. Vincent Pallotti High School in Maryland… combined for 77 receptions for 1,250 yards and eight touchdowns over his junior and senior seasons… holds the school record for longest touchdown reception with a 91-yarder… twice named MIAA All-Conference… selected to play in the Baltimore Touchdown Club Senior All-Star Football Classic… played for USA Football’s U-18 National Team in the North American Championships… played with current Bulls James Patterson, Jaret Patterson and Justin Mulbah and St. Vincent Pallotti. Offensive lineman from Radnor High School where he helped lead the Raiders to a 9-3 record and their first playoff win in school history in 2018… a PA Preps Live All-Delco First Team selection in 2018… named 2018 All-Central League First Team… 2018 preseason second-team All-State… also plays hockey for Radnor. Defensive tackle who will transfer to Buffalo after playing one season at Highland Community College in Kansas… named All-Conference Honorable Mention after totaling 32 tackles, four tackles for loss, 1.5 sacks and two forced fumbles in 2018… graduated from Sumter High School in South Carolina… had 61 tackles, 5.5 tackles for loss, 2.5 sacks and a forced fumble his senior season. Wide receiver from Amos P. Godby High School in Florida… had 33 receptions for 972 yards and 12 touchdowns his senior season… named first-team All-Big Bend… helped lead the Cougars to an 11-1 record and a spot in the Class 5A Regional Semifinals in 2018… teammate of fellow signee, Kyler Laing. Standout quarterback from Berea-Midpark High School in Ohio… named the Division I All-Ohio Offensive Player of the Year after throwing for 3,506 yards and 34 touchdowns while completing 66 percent of his passes his senior season… holds the school record for career completions (563), passing yards (9,151) and touchdowns (94)… his career passing yardage total ranks 12th in Ohio history… named first-team All-Ohio… threw for a school-record 550 yards in one game… also holds the school record for longest punt with a 73-yarder. Defensive end from Bayonne High School in New Jersey… named third-team All-State, first-team All-Conference and first-team All-Area his senior season after posting 60 tackles, two tackles for loss, five sacks and 10 quarterback hurries… named Hudson Report All-Area and Liberty White All-Division First Team his senior season… twice named the Defensive Player of the Game during his senior campaign… helped lead the Bees to a 7-3 record in 2018, their most wins since 2011. Wide receiver from Vero Beach High School in Florida… had 27 receptions for 387 yards and eight touchdowns his senior season… ranked sixth on the final 2018 TCPalm Super 11 List… helped lead the Fighting Indians to an 11-1 record his senior season… also plays basketball and runs track at Vero Beach. Georgia native who played cornerback at Warner Robbins High School… had 44 tackles, four tackles for loss, 10 pass breakups and an interception his senior season… finished his high school career with 165 tackles (5.2 tackles per game), three interceptions and a forced fumble… his Demons team was 5A state runners-up. Defensive back from Southfield A&T High School in Detroit… had 55 tackles, two interceptions and three pass breakups his senior season… named to 2018 Detroit All-Star Team… named All-League, All-County and All-North in 2016 and 2017. Defensive tackle from Miami Northwestern High School… had 68 tackles, 24 tackles for loss and 17 sacks his senior season… helped lead the Bulls to a 2018 6A State Championship… teammate of fellow signee, Larry Robbins. Defensive end from Amos P. Godby High School in Florida… helped lead the x to an 11-record and a spot in the Class 5A Regional Semifinals in 2018… had 43 tackles, 13 sacks, 17 tackles for loss, two forced fumbles and a fumble recovery his senior season… had a combined 28.5 sacks over his junior and senior seasons to become his school’s all-time sack leader… a 2017 third-team All-State selection… named All-Big Bend as a junior and a senior… teammate of fellow signee, Trevor Solomon-Wilson. Linebacker from Martin Luther King High School in Detroit… helped lead the Crusaders to a state championship in 2016 and 2018… named Detroit News first-team All-State and MLive second-team All-State in 2018… named first-team Detroit News All-Detroit his senior season. Offensive lineman from Wayne Hills High School in New Jersey… a three-year starter who helped lead the Patriots to a state championship in 2016 and 2018… had 57 tackles, two sacks, four blocked kicks and a forced fumble his senior season… a third-team All-State selection… named first-team All-League, All-County and All-North Jersey. Cornerback who was a team captain for a Miami Northwestern squad that won back-to-back 6A State Championships… had 67 tackles, 18 tackles for loss, 17 pass breakups, four sacks, one interception, seven forced fumbles and three fumble recoveries his senior season… also an accomplished sprinter on the track team, he will compete for his third straight state championship this spring… teammate of fellow signee, Georell Kidd. Offensive lineman for a Broadneck High School team that went 10-1 in 2018… named USA Today All-USA Maryland Second Team in 2017… was a Baltimore Sun All-Metro First Team selection in 2017. Tight end for a high-powered LaBrae High School squad that scored a school-record 550 points on 79 touchdowns his senior season… had 64 receptions for 1,034 yards and 12 touchdowns his senior season… defensively, set a school record with 53 career tackles for loss… named All-Northeast Inland District First Team… named All-Ohio Special Mention… selected to the WKBN Big 22 Team. Linebacker from Tampa, FL where he played at Tampa Catholic High School… had 100 tackles (58 solo), eight tackles for loss, 1.5 sacks, eight quarterback hurries, four interceptions, two forced fumbles and three fumble recoveries his senior season… he helped lead the Crusaders to the 2018 Class 3A Regional Semifinals.